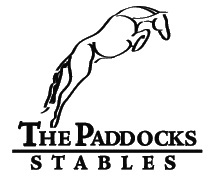 At The Paddocks Stables, we have a total of 50 stalls and 25 paddocks and 10 large pastures. These are used throughout the year by our riders' horses, school and lease horses, and sale horses. Our property is about 40 acres Located next to corp. property of Lake Dallas. It is on the corner of Naylor Rd. and Historic Lane. We have been here 20 years and counting. Come see our little part of Texas!